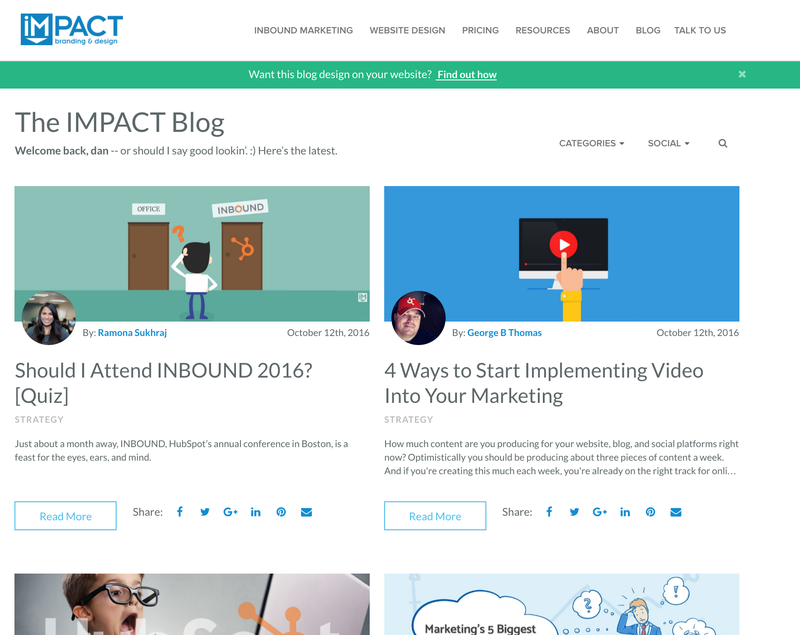 There’s the inbound marketing blogs that you read, and then there’s the ones that impact your business and change the way you think. 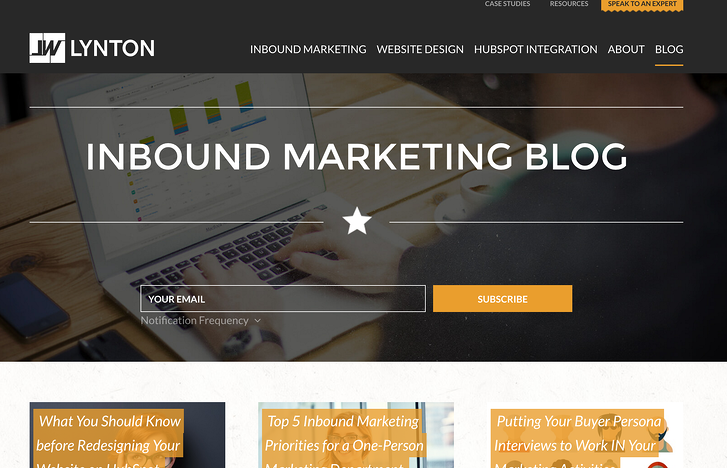 These business-changing gems have made our list of 25 great inbound marketing blogs. 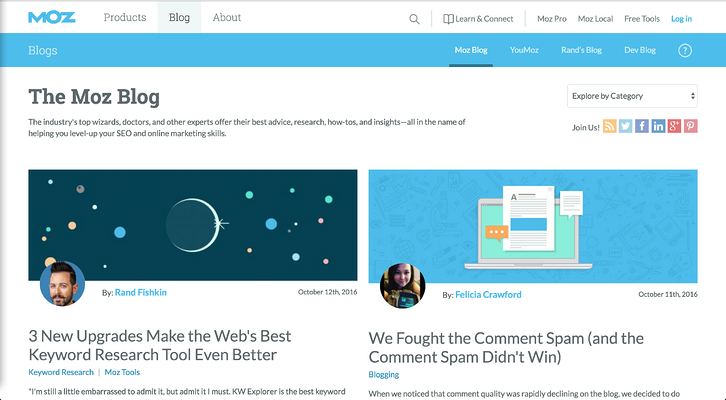 In our opinion, these blogs are well, for lack of a better word, addictive. 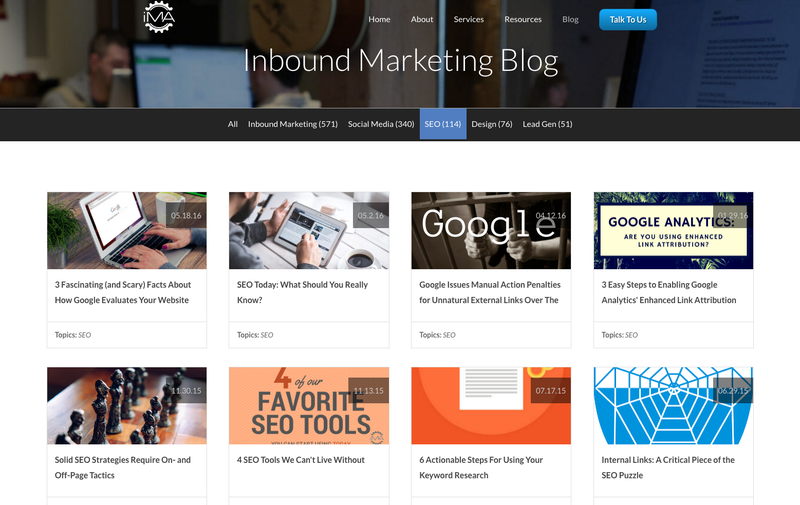 Whether you’re a CEO, blogger, office manager or content writer, here is our list of inbound marketing blogs you just can’t miss! The story behind Marcus Sheridan is an example of the incredible growth Inbound Marketing can have on a business. From his blog to his very popular podcast, you should subscribe so you’re not missing any of this incredible content. What? You’re surprised we put ourselves in the top 3? Hey, we have killer content! 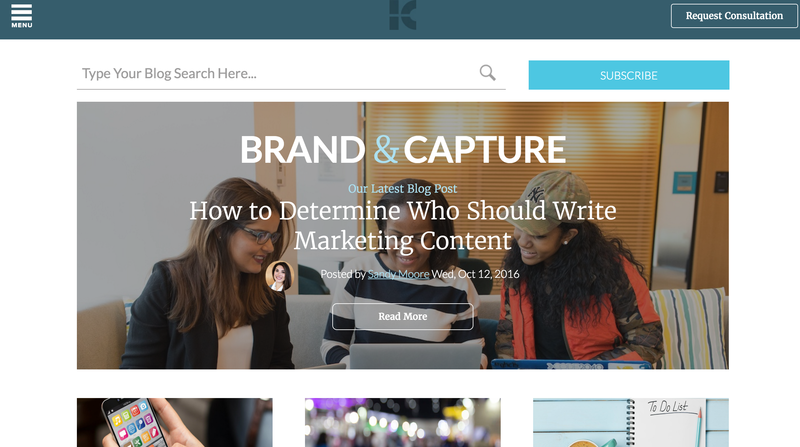 Well let’s face it, HubSpot is the mother of all inbound marketing agencies and their blog is overflowing with content every agency reads religiously. We know we start our mornings with it! 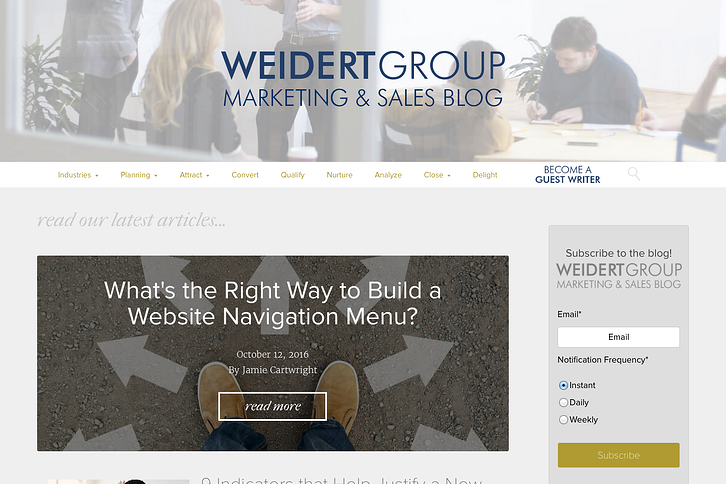 Simply one of the best inbound marketing blogs out there! 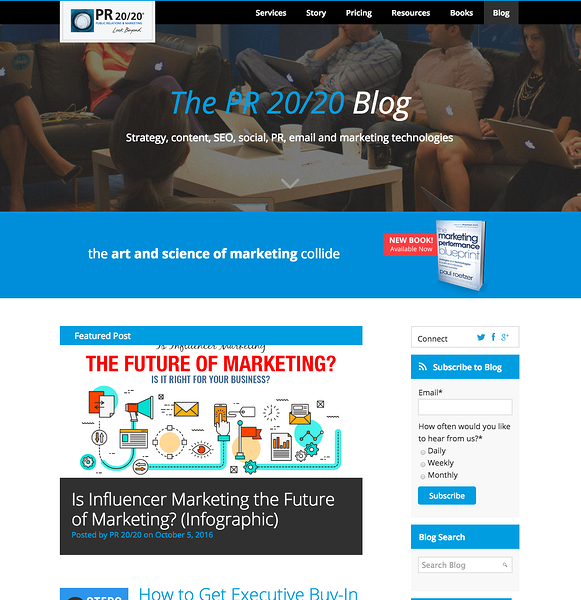 The PR 20/20 blog spins fresh content daily from various writers. It’s always refreshing to get the different voices and opinions from their team. Not to mention, we were spotlighted in one of their posts. (So you know they have good taste!) As far as inbound marketing blogs go, they’re certainly in the upper echelon! Here is another friend to our morning coffee. 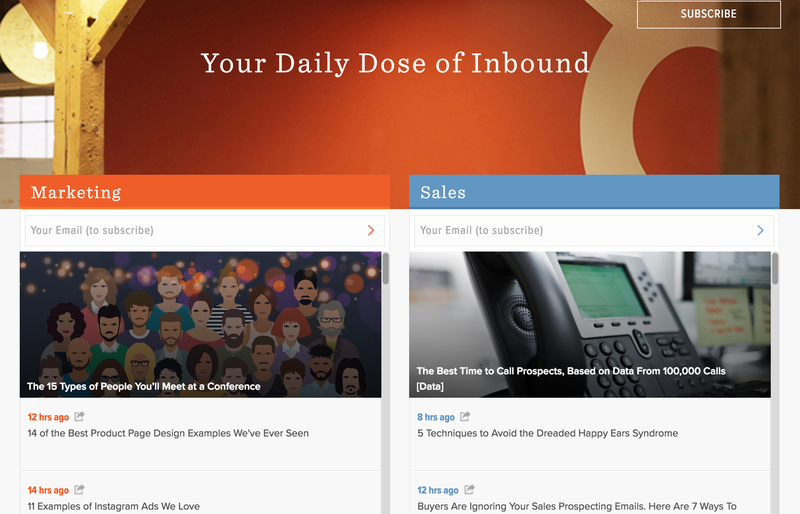 Also one of our favorite inbound marketing blogs. 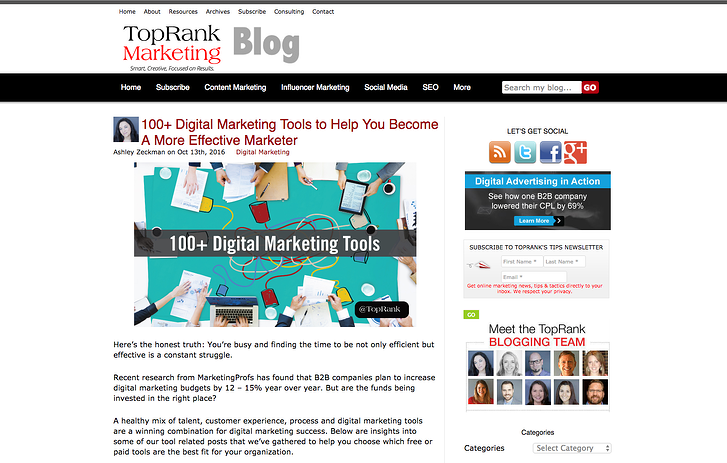 This blog covers everything from SEO, to branding, to social media. Look no further, everything you want to know about internet and web solutions is found here. The description of their blog explains it all. “The industry’s top wizards, doctors, and other experts offer their best advice, research, how-tos, and insights—all in the name of helping you level-up your SEO and online marketing skills.” You’re really missing out on true, expert SEO advice if you haven’t checked out this blog yet. They call their blog the “Whole Brain Marketing Blog” for a reason.. it fills your whole brain with tons of knowledge! They have so many blog topics I lost count! 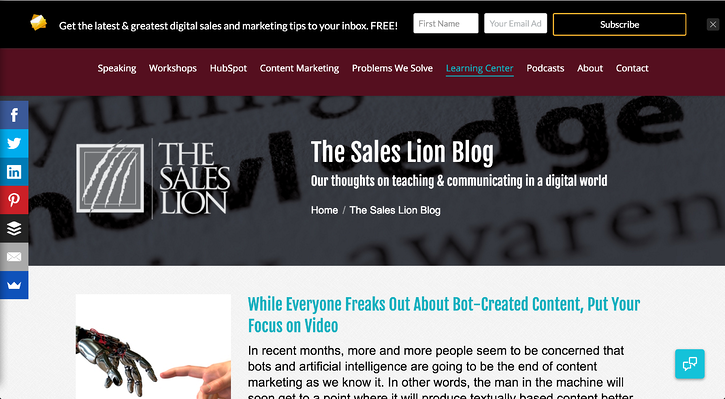 HubSpot listed Brown as the number 1 marketing blog, so we had to take a look. And yep, he’s there for a reason. We love how it seems as though he’s speaking directly to you. He gives advice and information through the art of storytelling. Very effective! One paragraph in, you can tell they have a real passion for helping businesses improve their marketing! 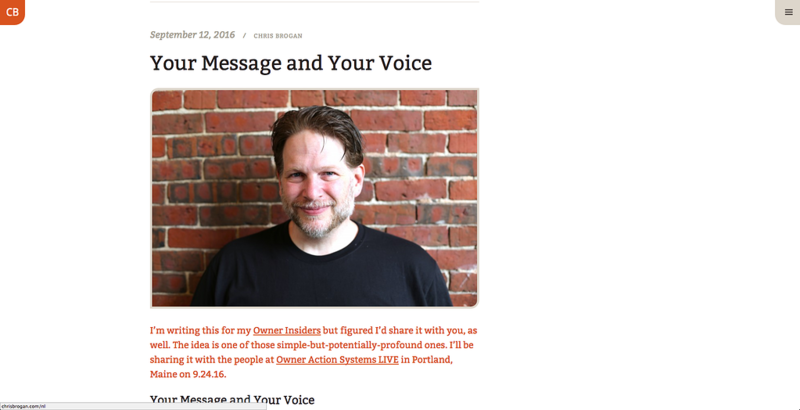 Chris has been blogging ever since it was called “journaling”, and his experience shows. He throws in videos and humor to make his informative blog even more enjoyable! Everything content marketing! That’s all we really need to say. 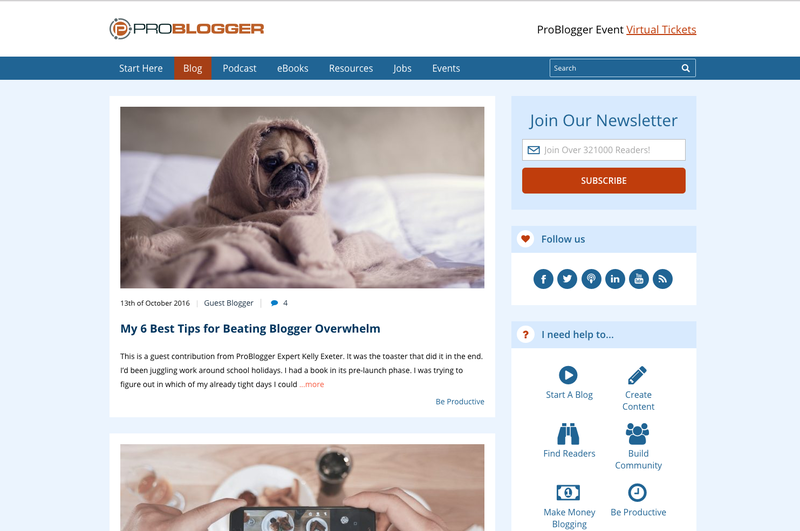 If you need blogging tips and tricks, come here. 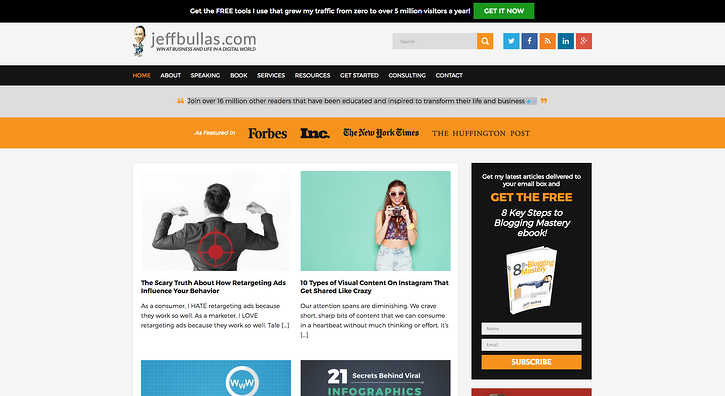 They offer the how-to’s of SEO & SEM, social media marketing, blogging, and content marketing. We are a huge fan! He’s funny and shares must have marketing tips. He’s always throwing in awesome pictures and infographics, too! 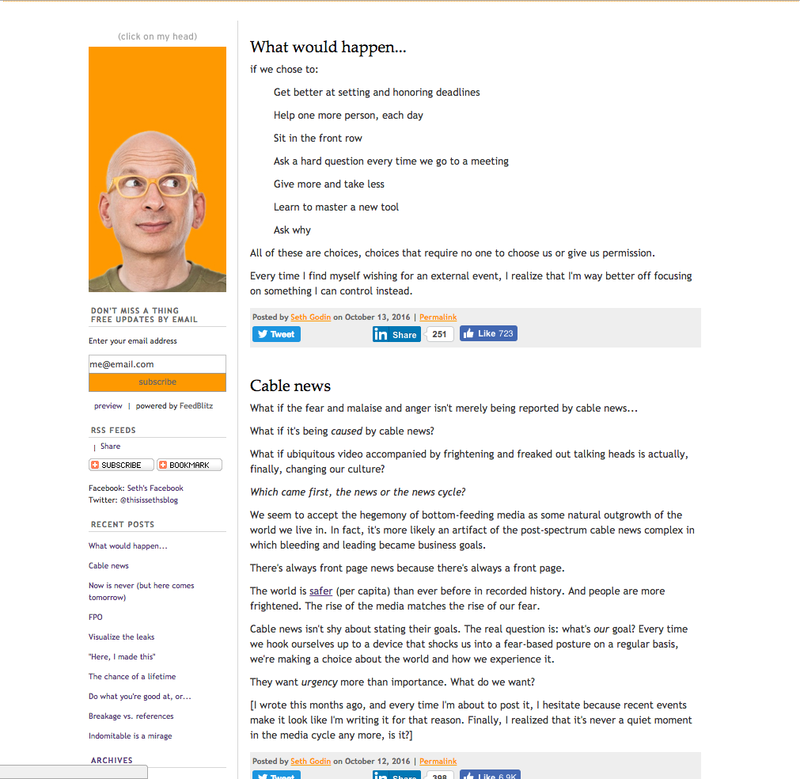 Seth is known as one of the top marketing minds in the field. 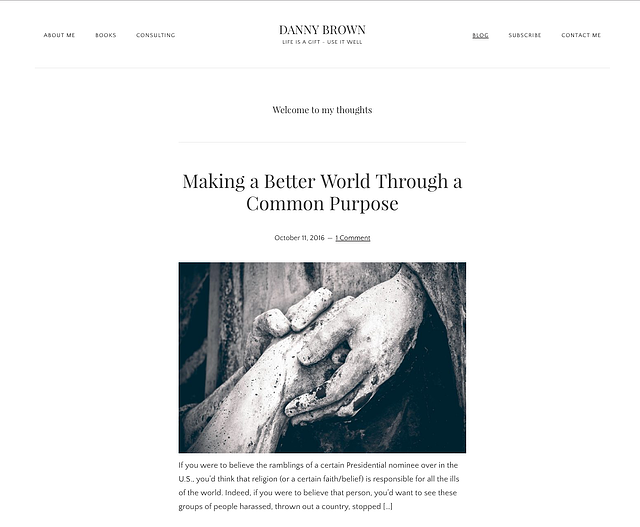 You have to check out his blog!